It is solid and easy to use. The manual is easy to understand. This review is about item#75998501. As we installed the latest car navigation system. It is easy to install without any problems, and the operation of each sensor is fine. Because it is cheap and the quality is good, it is very useful. It is appreciated if you can correspond to more car models / manufacturers. I used it when installing Navi to DA64 Every Wagon. It is easy to understand because building is also solid and tags are attached to the wiring. Working efficiency is reasonable at reasonable price, it is very convenient. Especially, it can be used without problems. It is inferior to other manufacturers. Retrieve vehicle speed signal etc. At DA 17, it was impossible to retrieve only the vehicle speed signal. There was no meaning because other lines were bypassed bypassing and connected, so it was meaningless. it is perfect. 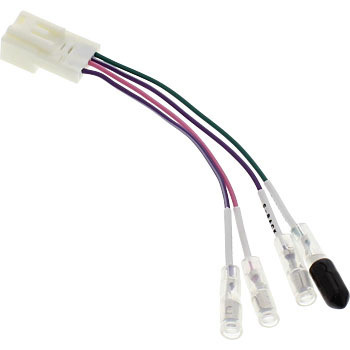 . . . . . . . . . . . . . . . . . . . .
At first, the tip of the cord was firmly soldered and inserted into the car body coupler, but I think that if you can purchase at this price you should buy it from the beginning and attach it. Quality is good, price is cheap and it is useful. It is appreciated if you can correspond also to other manufacturers.